Uji is officially another city, it doesn't belong to Kyoto, but during our trip we can easily consider it as a neighborhood like the others in the city, about 15 km south of Kyoto station. It is crossed by the homonymous River Uji, and famous for its history, for some temples and shrines with a high historical value and for its green tea, considered among the best in all of Japan. 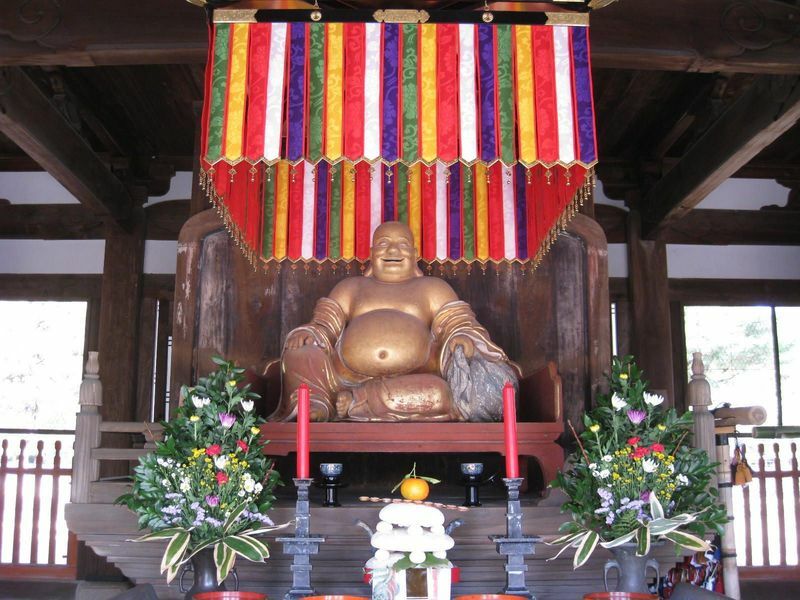 Uji is a place rich in history, and its main attraction are some temples and shrines of great historical value. Uji's most prestigious temple, famous for a spectacular building surrounded by water and called Hoodo (Phoenix Hall) because of the two statues representing two phoenixes on the roof. You can see this building depicted on the back of the 10 yen coins. Built in 1053, the Phoenix Hall has survived until today, and for this it has acquired considerable historical value, while the other buildings of the temple has been destroyed and rebuilt several times. 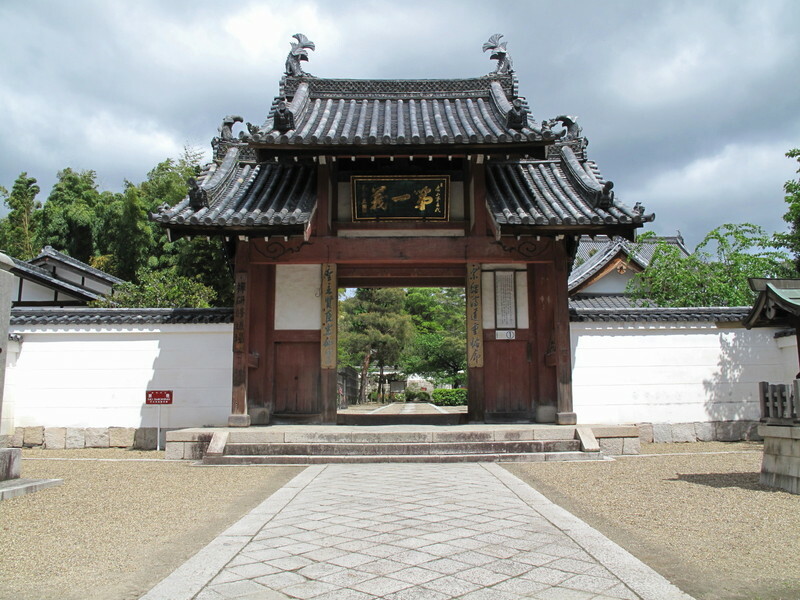 This temple also has an important Treasure House with separate admission (300 yen). The approach road to the temple, known as Byodoin Omotesando, is one of the most popular of the area, full of gifts, sweets and snacks shops and restaurants. A small Shinto shrine, it looks like a thousand others in Japan, however, it is part of the UNESCO World Heritage sites since it is recognized as the oldest extant Japanese Shinto Shrine. The exact date of construction is unknown, but experts estimate around 1060. Nearby the Ujigami, a few steps away, there is another small shrine with a similar name but with no historical value, called Uji shrine. A temple belonging to the Zen Buddhist sect Obaku, famous for its pine trees and a distinctive architecture that recalls the Ming chinese style. The Chinese influence is seen in various elements scattered around the temple, particularly in the roof of the main gate, and in the arrangement of the buildings of the temple itself, which form the shape of a dragon. One of the statues kept inside the temple, depicting a Happy Buddha (in japanese called Hotei), is a piece pretty rare in Japan, as this is a typical representation of the Chinese Buddhist tradition. Finally, a particular "style" of tea ceremony is practiced in this temple, and it is called Senchado. It is very close to the traditional Chinese form, however it shouldn't be "open" to the tourists. One of the most featureless temples in the area of Uji, rebuilt in its present location in 1648 after being destroyed in its original place. The most famous thing of this temple is perhaps its approach road, which is called Kotozaka, surrounded by various trees that make the atmosphere very charming in spring and autumn. A temple situated at the end of a long path that goes up a hill, about 1.5 far from Uji River (the road is served by a bus, the number #43). 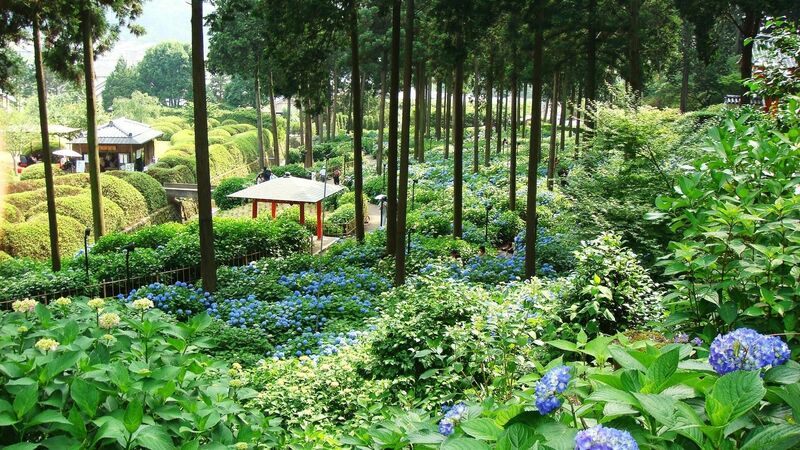 This place is famous primarily for its flowers, which color the gardens of the Temple of different colors depending on the months of the year, especially from April to mid-July. In front of the main building there is a curious statue of a bull (instead of the usual lions) with a ball in his mouth, which is said to bring good luck to whoever holds it in his hand. This temple is located very close to the north bank of the River Uji. One of the least popular among the temples in the area, inside there is a stone monument commemorating the construction of the nearby bridge over the river (Ujibashi, built for the first time in 646, one of the oldest bridges in Japan). This stone monument is considered the oldest stone monument in Japan. A museum dedicated to the famous Japanese novel, partly set in the ancient town of Uji. A small island in the middle of the river Uji, it can be reached by walking through a bridge on the south bank of the river. 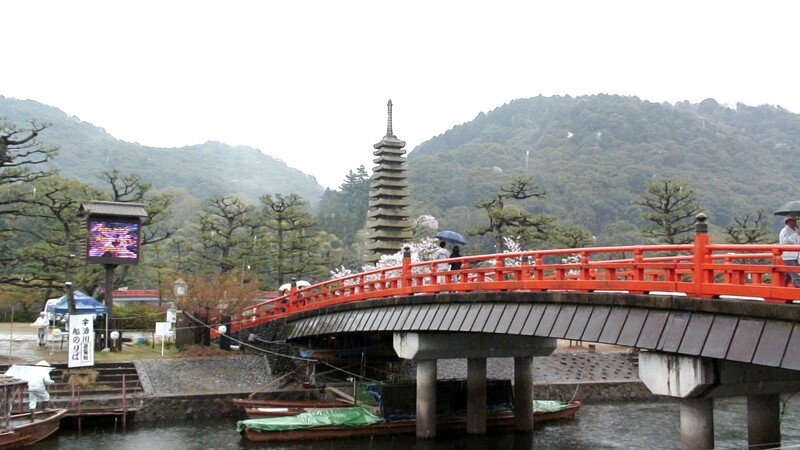 On this island, in 1288, the monk Eison (founder of the Buddhist sect Shingon Risshu) built a 13-story stone pagoda that was destroyed by a flood of the river in 1756 and was rebuilt in 1908. This building, known in Japanese as Jusanju sekito, is the highest stone pagoda of all of Japan, for a total of 15 meters in height. A small hill about 130 meters high, the top of which is reached through a path in the woods that can be covered in about 20 minutes on foot. At the end of the path is a panoramic viewpoint over the city and river. The starting point of the trail is located near the Ujigami shrine (see map). A more difficult trail stars from the Koshoji Temple. Staying in Uji as a starting point to visit the entire city of Kyoto is obviously not recommended because of the location. You can stay at Uji no more than one night, in order to enjoy a quiet visit of the area, or to enjoy the experience of staying in a real ryokan on the banks of the River Uji. In that case, just south of the Byodo-in Temple, right on the banks of the river, there are two excellent and authentic ryokan, where you can taste a real kaiseki cuisine or relax in an onsen: the Hanayashiki Ukifune (high level, medium price range) and the Koryuen Seizanso (very high level, high price range), which by the way are the only two structures that you can find in Uji in western search engines. For a much lower level and price range, in the same area there is also the small Aiso ryokan. 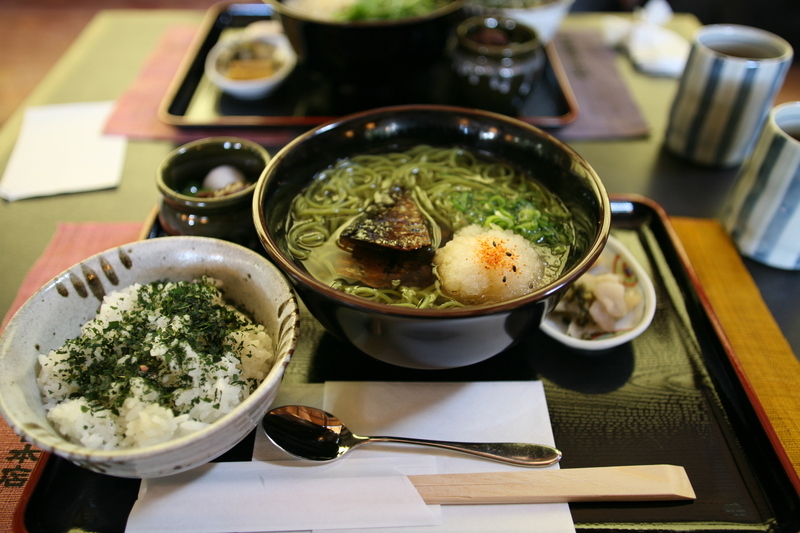 UUji is famous throughout Japan for its green tea, which is considered as one of the finest kind of tea. 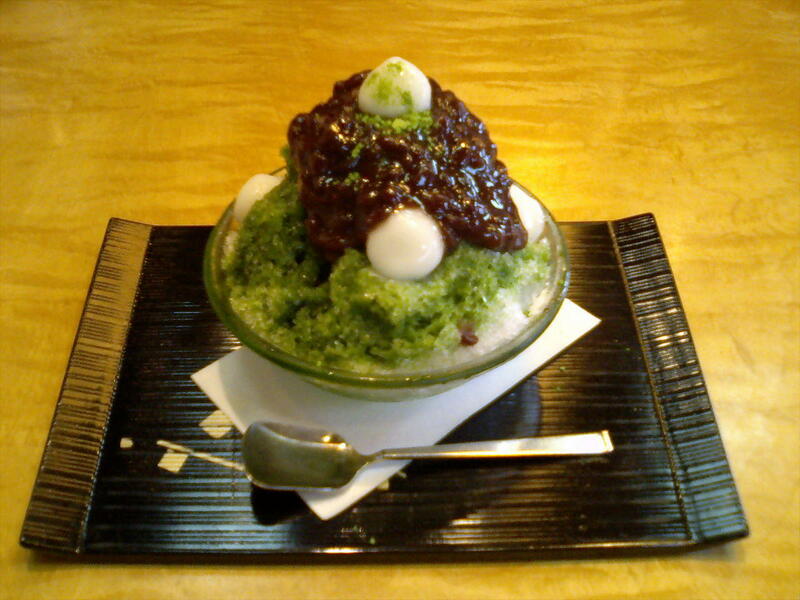 Everything is related to green tea in Uji. You can taste green tea-flavoured ice creams (uji-kintoki), green tea-flavoured biscuits, various green tea-flavoured sweets, or green tea-flavoured soba (cha-soba). The Taihoan tea-house, a few meters south of the Byodo-in Temple, is a tea house opened by the municipality of the city to show tourists the famous tea ceremony. You can visit the interior of the home, drink a cup of authentic tea brewed in Uji and observe the various steps of this ancient ritual of Buddhist origin (admission 500 YEN, opening hours 10-16). The two main stations in the area are JR Uji station south of the River Uji and Keihan Uji station to the north. Served by the JR Nara line, this station is directly connected to Kyoto station (240 YEN). All trains stop at Uji then you can take both the local trains (27 minutes) and rapid trains (17 minutes). If you are in the surroundings of Kyoto station or in an area served only by JR stations, this line is the most convenient. This station is the terminus of the Keihan Uji line, a small railway line which connects Uji with some stations in the south of Kyoto. Both in Kyoto and Osaka there are several stations of this railway company. The previous station to Uji, along the JR Nara line (and also served by the Keihan Uji line) is Obaku station, very useful if you want to visit the Temple Mampukuji, which is located in a much more isolated position than the other shrines and temples described in this page.